Quick Thoughts from Star @ Illustrious Illusions . . .
4.3 Stars out of 5 with 20 reviews! Take a chance. . .
"This book was a great book with a great story line. 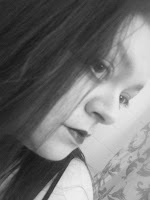 It was very enjoyable and doesn't have a boring place in it .a must read for vampire lovers." Jessica MacIntyre was born in Sydney, Nova Scotia and raised in the tiny rural community of Soldiers Cove. A habitual daydreamer, MacIntyre was sent to the principal's office many times during her school years for not paying attention in class. In 1998 she moved to Dartmouth, Nova Scotia with her husband and began writing seriously a few years later. 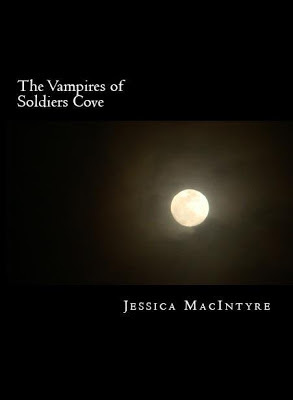 Her first novel, "The Vampires of Soldiers Cove" is available now on Amazon and is the first in the "Vampire Island" series. MacIntyre has also published a work of Paranormal Erotica titled, "The Slave Queen", also for sale on Amazon. Go ahead stalk her. . . she won't mind . . . She might even like it!!! Pick up The Vampire of Soldiers Cove at Amazon for only 99 pennies!